Naturally just before Parent’s Day they get the kids to get caught up on their correspondence – just in time to ask you to bring them stuff. You know they’ve been sitting around his bunk for a while because there’s no mention of the knee injury. 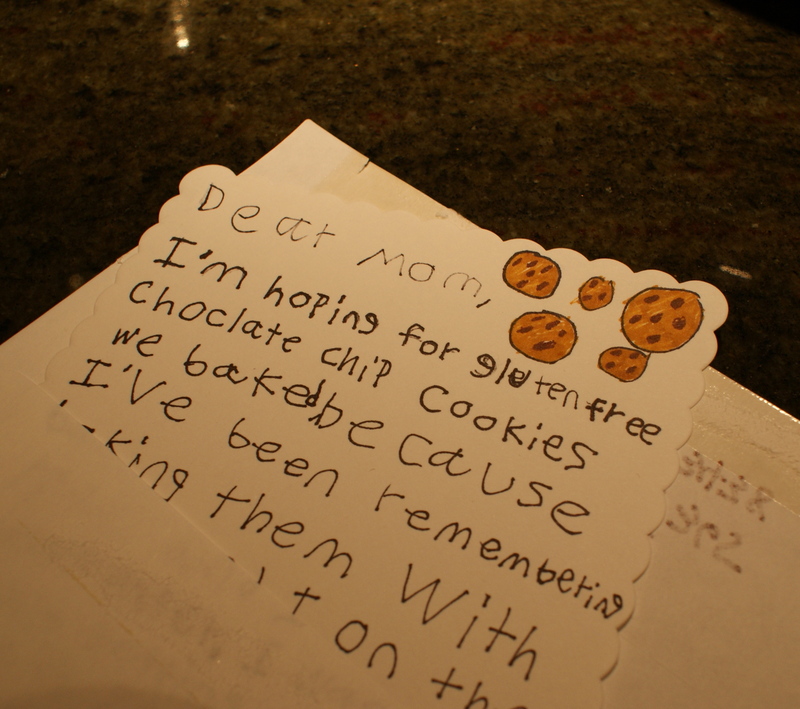 Doesn’t matter – I live to see his distinctive handwriting (best in family), which I keep trying to make into a font. You can tell that the bulk of his letter-writing experience has been to Santa Claus and the Easter Bunny because he’s got the gift requests down pat – very specific, down to the materials and manufacturers. The boy understands how to communicate when he wants something – he includes visual prompts. He drew the cookies he wants me to send. I love this! I know what you mean about the handwriting, too. Sam has a slightly more primitive version of this very scroll.